Happy Friday and welcome to my favorite purple OPI nail lacquer colors! We have finally reached the end of the road for this series with OPI, can you believe it? It seems like it took forever, but also went fast somehow. A few of these are very reddish-toned purples and a few are blue-toned purples, or blurples as I call them. 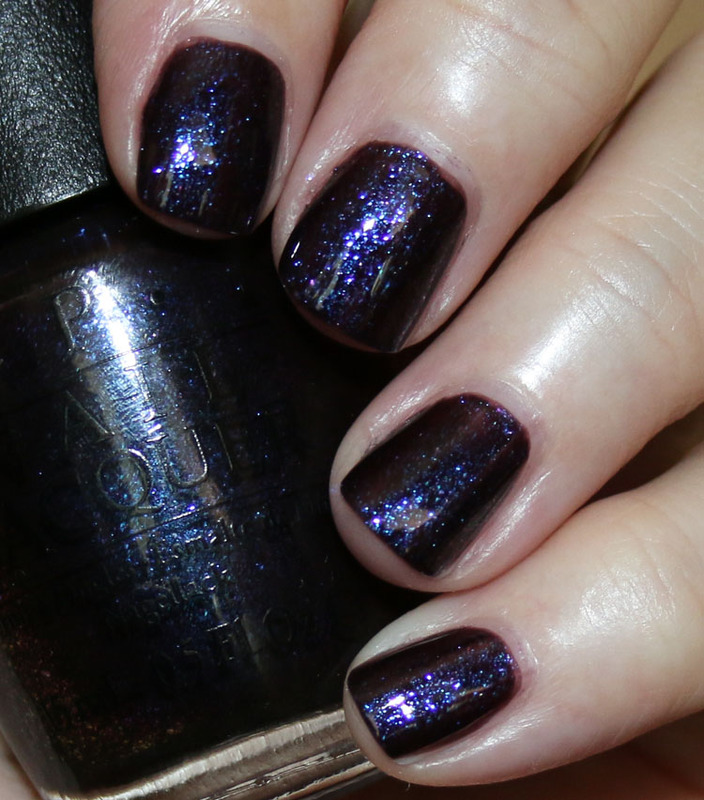 I’m in the Moon for Love is a total stunner and definitely one of my favorite reddish purples ever. Diva of Geneva is another very reddish purple (it looks way less red in person) that is gorgeous. Tomorrow Never Dies is a shimmery and vivid purple beauty. Turn on the Northern Lights is a MUST HAVE shade IMO. Stunning! Who Are You Wearing? is an old favorite of mine. Black Cherry Chutney really isn’t purple…but sort of. I missed it in my red faves post so here it is. 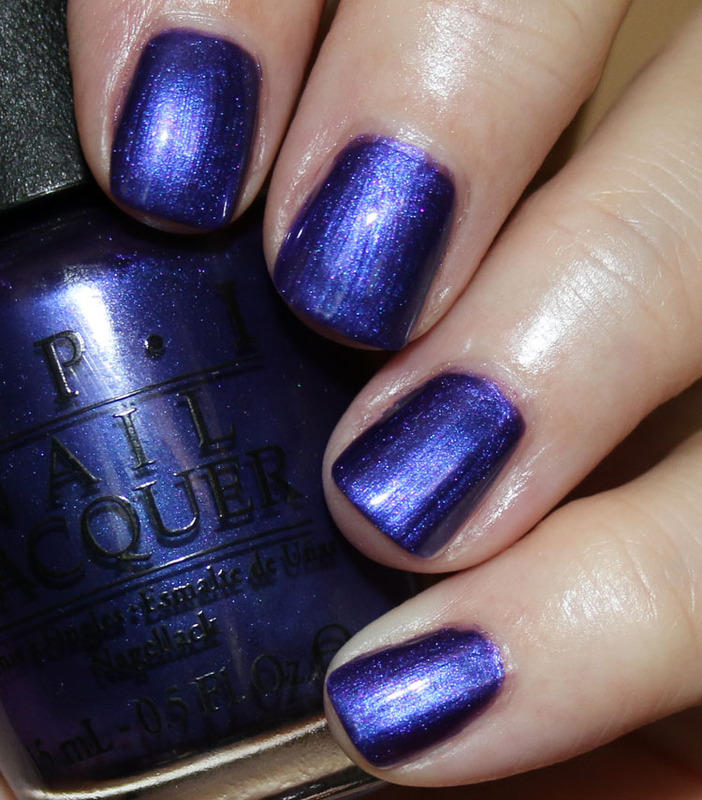 OPI Ink is another old shimmery blurple fave of mine. Cosmo with a Twist is yet another super shimmery one! Merry Midnight is a unique shade with really nice flake glitter. Alcatraz…Rocks is a Liquid Sand formula (textured) and completely unique and gorgeous! So there they all are! I am undecided if I am going to continue this series with another brand. We shall see. 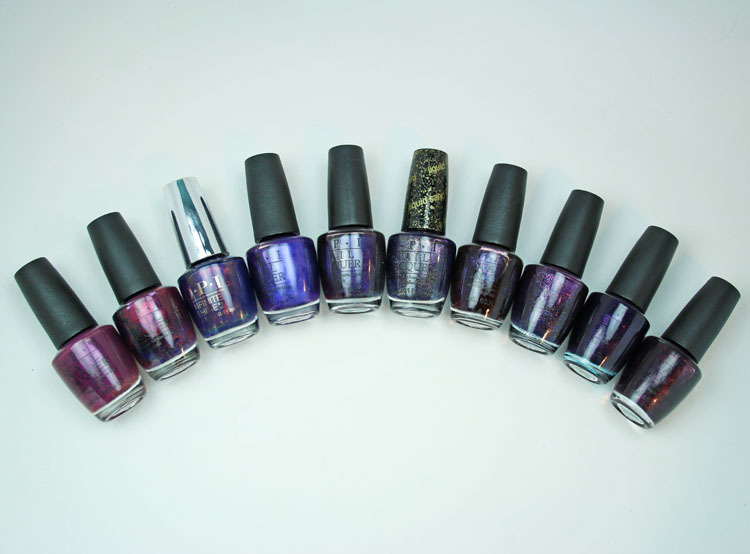 Which OPI purples are your favorites? I love purple and dark vampy shades so I love every single one of your picks in this post!! They’re all really pretty. I’d like to see you continue this series with another brand but I’m sure it’s very labor intensive, so I can understand if you don’t want to continue it too!! Love purples! We share a LOT of the same favorites, I have most of these too. 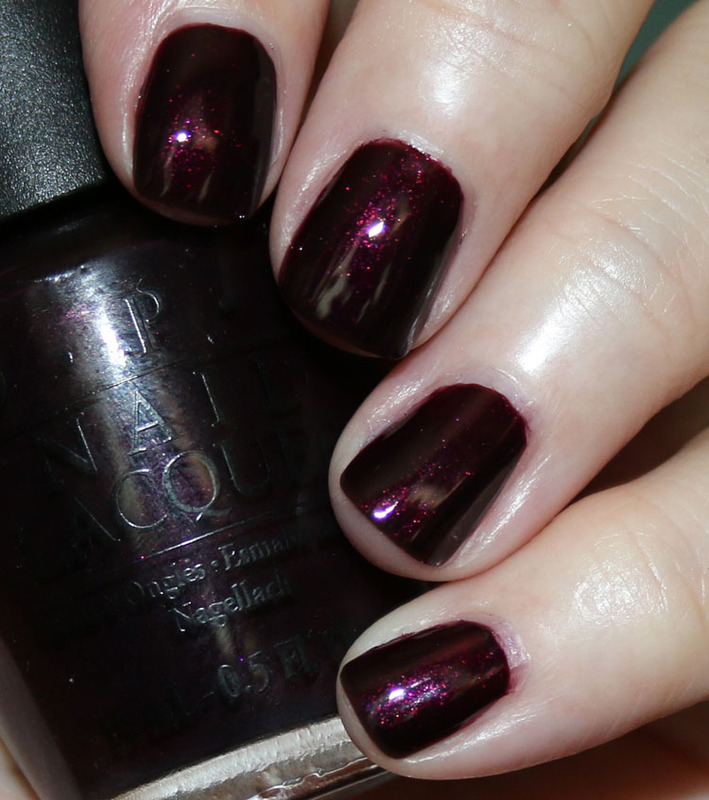 Pompeii Purple is probably my favorite OPI purple, it’s my default pedi color in the summer. I’d love to see you continue this series, maybe with Zoya? But it does look like a lot of work and I certainly get it if you don’t want to keep going. I do just love a good Blurple!!!!! I am going to miss this series. That idea above is a good one. How about favorite indies? I can’t remember, where did Lincoln Park After Dark fit in? Or didn’t iy? Who Are You Wearing was my VERY first OPI!! Still one of my favorites, though I only have a mini bottle of it. Love Alcatraz…Rocks, that entire collection was a favorite! If you choose to continue the series in the future, I would love to see Zoya or Essie :] it’s been fun, especially seeing older colors that I missed out on or have never even heard of! I LOOOOVE purple shades.. they are just so perfect for any given day!!! You also have a couple of beauties that I would love to get my hands on.. Alcatraz rocks! Who are you wearing and I’m in the moon for love.. I loved your OPI reviews.. will you make more of these with other brands? These are all gorgeous! I think I’ll put on Northern Lights this weekend. I haven’t worn it in a while and it is stunning!! black cherry chutney + northern lights are just WOW! thank u for this post! I definitely think you should continue this series! Diva of Geneva is gorgeous – I’ll have to look for it. I think my favorite purple is Vampsterdam. The name alone is priceless. In fact I have it out as the next color to paint my nails. 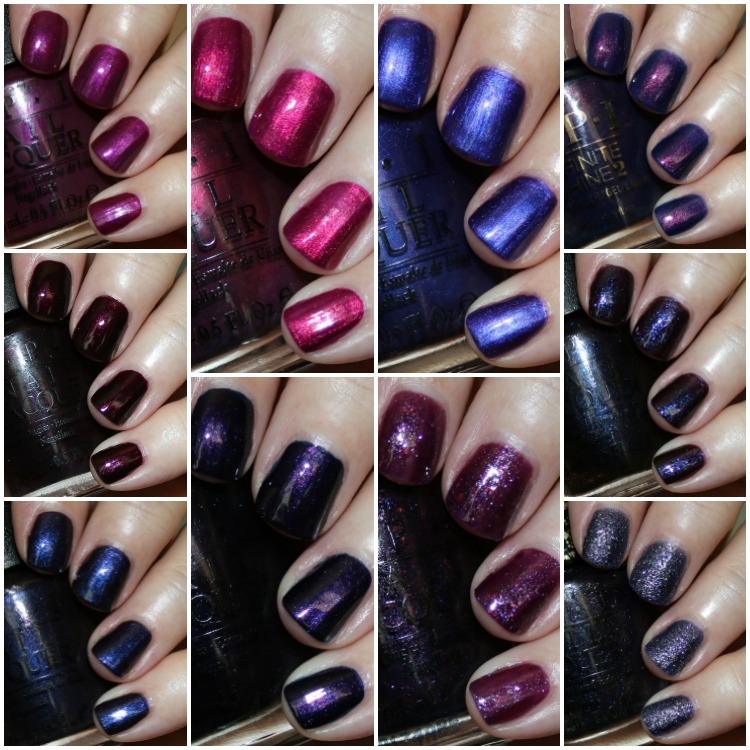 Thanks for all your great swatches and blog! I really enjoyed this series! I’d love to see you do it with another brand. Alcatraz…Rocks! and Turn on the Norhtern Lights are some of my favorites too. I also love Feel the Chemis-tree!